Whangarei offers a wonderful range of experiences; it is a place of adventure, culture and natural beauty. Running along the extensive coastline, the local attractions range from world-class diving, surfing and fishing to white sand beaches and breathtaking walks. 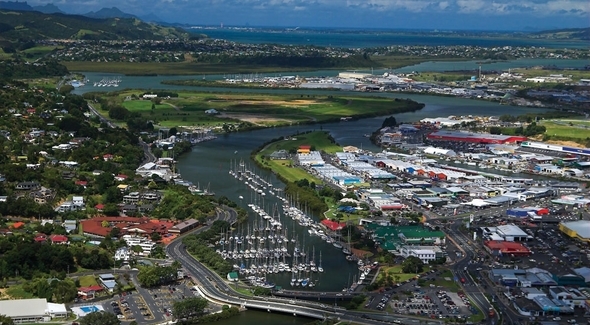 The Whangarei Town Basin is home to a modern marina, surrounded by cafés, restaurants, shops and galleries. Only a few minutes from this bustling cultural centre, you are able to get away from it all while exploring the scenic reserve at Parihaka and the AH Reed Kauri Park. The more adventurous visitors will enjoy exploring the underground wonder of Abby Caves. 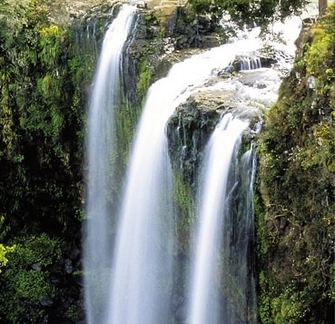 Other great activities include The Kingdom of Zion (lion park), Adventure Forest and Kiwi North. After a day of exploration you can enjoy relaxing at the cinema or the indoor wave pool. Mt Parihaka is a key landmark in Whangarei, culturally significant and a great short walk for the energetic! The summit is also home to the World War II War Memorial to those New Zealand men and women who died in World War II. The obelisk, unveiled in 1957, that glows red in the night sky is a local landmark. Abbey Caves Reserve is 18.7 hectares in area and comprises of three significant caves, naturally sculptured limestone outcrops, bluffs, enclosed depressions and sink holes. The Reserve has two distinct areas of native bush with well established podocarp-hardwood forest which include beautiful mature Puriri trees. Situated just twenty minutes north of Whangarei, near Kamo, the Kingdom of Zion is home to a collection of tawny and white lions, white and orange bengal tigers, cheetahs and a black leopard. All of these cats are extremely rare and many are extinct in the wild. Kingdom of Zion is dedicated to the preservation of endangered species of big cats. To fund habitat development and the ongoing care of the big cats guided tours of the park are offered. Mair Park, playground, city centre, cafés, restaurants, takeaways, tavern/bistro, shopping centre, hospital, medical centre, supermarket, convenience store, Whangarei Town Basin, ASB Stadium leisure complex, Kensington Stadium sports complex, (hockey, gymnasium, athletics).